Captain’s log, stardate…well, it varies by method (and show), so let’s just agree to mid-November 2015. We’re less than 10 months away from the 50th anniversary of Star Trek, and there’s still no sign of an official celebration. Gene Roddenberry’s groundbreaking sci-fi show premiered September 8, 1966 and eventually launched several Federation starships and crews into pop culture. But surely it was all for naught if we can’t find a way to pay tribute to every captain and redshirt (well, maybe not the redshirts). Well, Trekkies and more casual fans can relax, because William Shatner is prepared to step in to commemorate the iconic franchise. 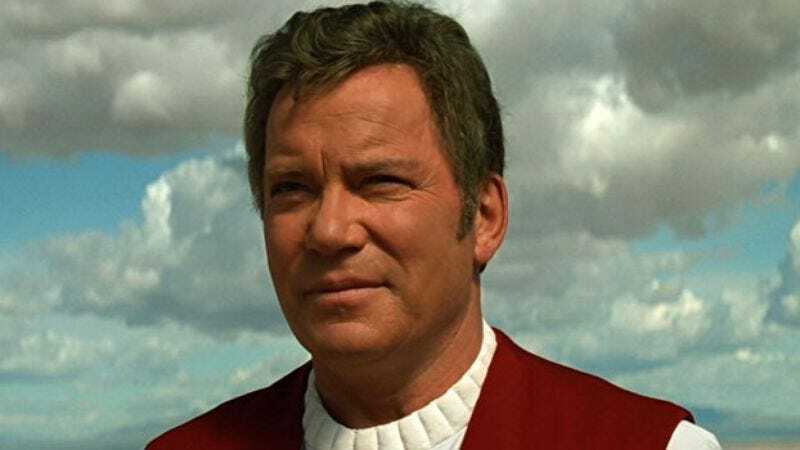 Shatner, who played Captain James T. Kirk in the original series and multiple movies, recently told the Press Association (via The Guardian) that he isn’t willing to let the event go by unnoticed—or unsung. For Shatner is not only pushing for an anniversary special, he’s considering doing a musical. The actor noted that while at some point a “big company” suggested a musical or variety show to mark the occasion, those plans have since stalled. So Shatner has had to take matters into his own hands because, although he speculated that Paramount could be organizing a special on its own, he has yet to hear from the studio. He did tell the Press Association he didn’t quite understand how Paramount could proceed with any plans without the second captain (or third, if you count Robert April) of the Enterprise—or at least, the actor who portrayed him. If that happens, it would certainly call for a “double dumbass” on the studio.